Personalized Commercial Cleaning has a seperate floor care division that specializes in servicing a variety of floor surfaces. We use high quality products and professional equipment to ensure beautiful results. 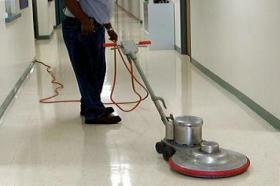 Many of our customers include regularly scheduled floor care services to their janitorial package to maintain the overall appearance of their facilities. Are your high traffic areas looking dark and dingy? Did a client or employee spill something in the waiting area or hallway? We can help. Our carpet cleaning methods include pre-spraying of all high traffic and heavily soiled areas before using hot water extraction to remove deeply embedded dirt from your carpets. Our machines are portable and therefore do not require doors to be propped open for long hoses leading to a truck in the parking lot. 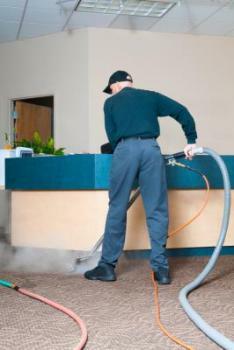 Your facility will stay secured during the carpet cleaing process. Upholstered furniture can be easily cleaned as well with our portable units. Waiting area chairs take a lot of abuse and can really make the overall appearance of your facility look dirty. Let us freshen them up for you. Deodorizing and Scotchguarding is also available . Have your floors lost their shine? Have scuff marks and wheel marks from a desk chair ruined the appearance of your facility's floors? We offer stripping and waxing of hard floor surfaces to restore your floors to their original appearance and shine. This service seals and protects your floors from harm. It is recommended that floors receive this service annually. In addition, we offer maintenance burnishing to polish out new scuffs marks that occur over time. This service also helps harden the finish and helps preserve your investment. The recommended frequency of this service is determined by the amount of foot traffic your facility experiences. If you have ceramic tile floors, we have the equiment to scrub and rinse the tile and clean the grout. 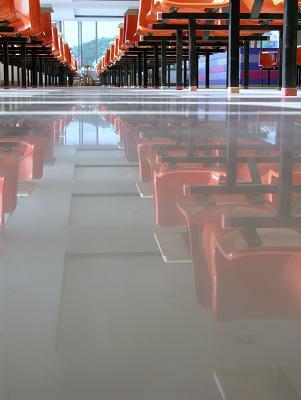 Concrete floors can be deep cleaned as well using this same method.